Our product range includes a wide range of c 200 comparison microscope and z200 comparison microscope. Illumination 6V 30W halogen lamp, AC85~230V, Adjustable. Full left image, full right image, a part of left and right images, left and right superposition image. Monocular, Binocular or Trinocular comparison head are for option. 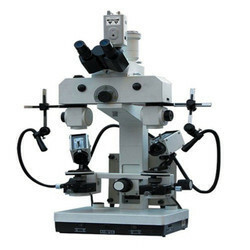 Viewing Tube: Siedentopf trinocular head, Interpupillary distance 55~75mm, 30 Degree inclined, diopter adjustable. Comparison microscope Z200 successfully solved the technical problems of comparing ridge width and consistency adjustable (this technology is included in the national technology security projects), Z600 is an upgraded product improved on old model, which not only retains excellent technical performances of old model, but also increases its image quality and magnification, increases illumination ways and a variety of accessories, shape, structure more beautiful, reasonable, reliable, and makes the instrument fully plays its functions of comparison and identification. 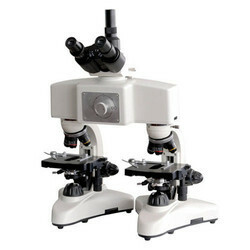 Looking for Comparison Microscope ?